Shed roof repair jobs can get a bit messy. They can be hard to trace and see where the problem is and where the water is getting in. So we did some homework and found how the professionals did it. Needless to say they make it look easy, but the information they gave us, was very helpful. We hope that it helps you too. If you are replacing a decent size area, you will have to break the seals and pull the nails of that area and the ones around it. If you are just replacing one, then use a knife to cut it out. Slide in your new shingle and nail it. Start at the bottom and work your way up the roof. If its cold, then use some tar to seal the shingles down. This will stop them from blowing around before they seal. If your flat bar has square edges, round them so they don't cut into the shingle. 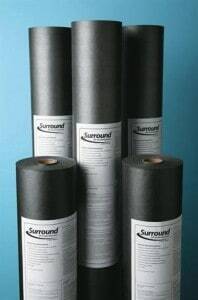 You can use a tar or roof patch in a tube to get an instant seal. Shingles are designed to seal in warm weather, but in cold they can use some assistance. Many metal shed roofs are repaired with few tubes of silicone, but there are cleaner and more efficient ways of patching any holes. 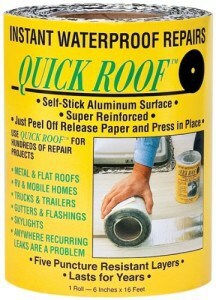 We like the Cofair Aluminum Quick Roof Tape for its speed, durability and it is a much cleaner job. You also don't have to paint it. Once its stuck down, your done! When the tape is adhesive, and when it heats up a little it is stuck for good. 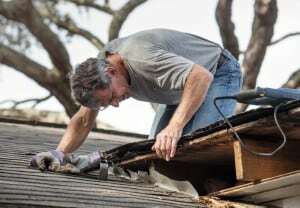 Pull all your old roofing off and inspect your roof. You may want to replace some of your roof decking if it has been water damaged. Put the underlay on, start at the bottom of the roof and work your way to the top. The top piece should go on last. Nail it in and secure it around all edges. Now you are ready for shingles, metal roof or something else! Get yourself a sharp knife and a straightedge to make the best cuts. Thanks for reading. Good luck with your Shed Roof Repairs.